I'm excited to share with you some cards I created with the new Bella Rose Collection from Heartfelt Creations! The Bella Rose Collection features 8 new PreCut Stamp Sets that coordinate with a new exclusive Heartfelt Creations die, manufactured by Spellbinders and an existing Spellbinders die. 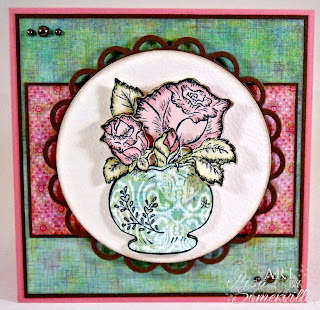 My first card uses the Bella Rose Vase PreCut Set along with the Bella Rose PreCut set. The images are stamped in Black Archival on Watercolor paper, then colored with markers and an H20 Brush. The vase is paper pieced with Basic Grey pattern paper. 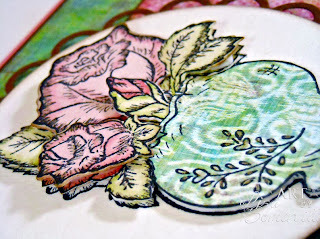 The Roses we die cut using the new Bella Rose Die. 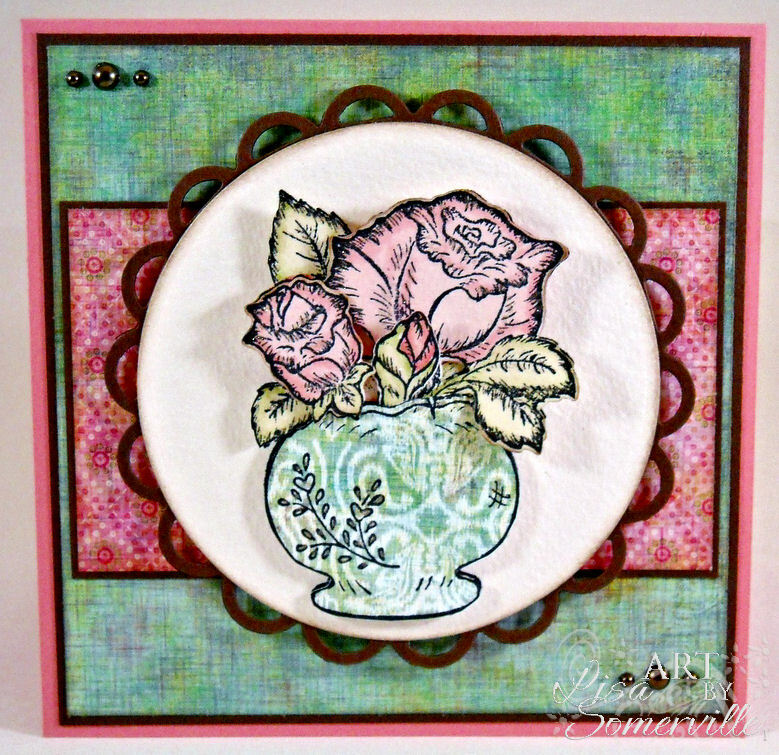 This next card features the Bella Rose Lattice Background PreCut set. The image is stamped in Black Archival on Watercolor paper, I added color with Markers and an H20 Brush. Again, some of the images are Die Cut (leaves cut by hand) and popped up over the other images. The beautiful Butterfly is from the new Bella Rose House PreCut set and is cut with Spellbinders Fanciful Flight Die. Looking for more inspiration using the new Bella Rose Release, stop by the Heartfelt Creations Blog to see what the other designers created. Leave a comment on the Heartfelt Creations Blog by May 17 and one lucky person will win the entire release valued at $149.99. The winner will be announced on the HC blog on May 18. These stamps lend themselves to detail work so perfectly and you have done just that...simply stunning. I really like your cards! The coloring on the vase is just amazing! I love it, just ordered several of the sets and die cut, I'm blaming it on the DT's cards, LOL Gorgeous cards!!! Both cards are absolutely gorgeous, Lisa! Can't wait to see the other DT creations! I love your soft colouring on both projects Lisa! Your pretty butterfly looks perfect on the second card. Lisa your cards are truly pieces of art. I love how you used the stamps. both are beautiful card, but the first one really drew me in. 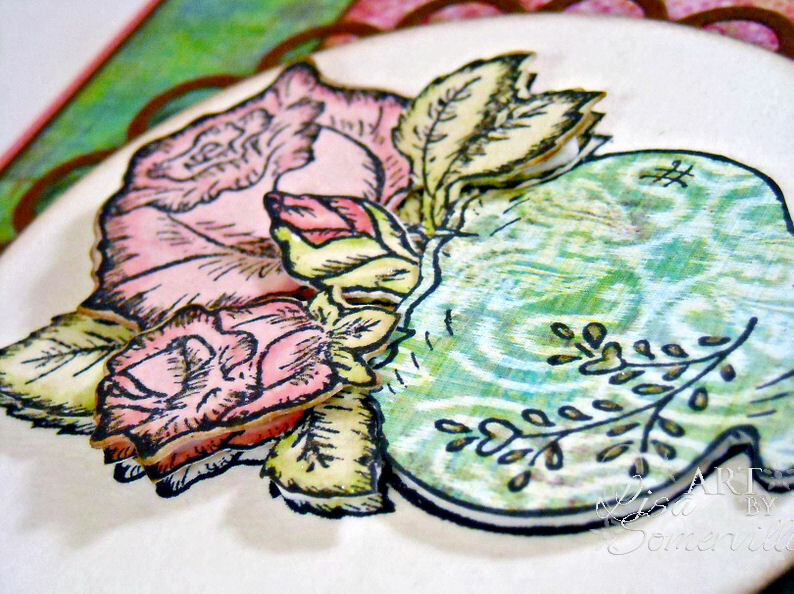 Love how you stamped on the paper to give that vase texture. 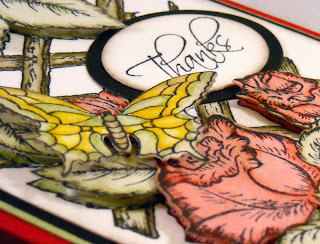 I love the soft colors you have used- very pretty cards! Both are wonderful. Love the dimension on the first one, and the lovely colors. (Gorgoeu stamp too!!! :):):)) And the second - ahhh, lovely!!! 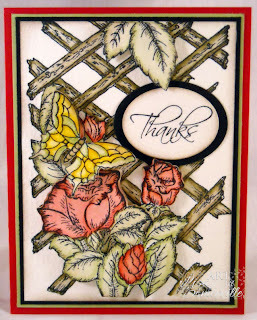 Very pretty cards--I really like your paper pieced vase. both cards are awesome! I love the dimension. Beautiful cards Lisa...The rose is so pretty and I especially love the trellis you used on the second one. Both cards are just beautiful and I too love that yellow butterfly! It just pops off the page! Just awesome! Love the delicious colors and the layers, layers, layers!!! Both of these are beautiful! love the layering of the images and the papers are perfect! Just beautiful Lisa! 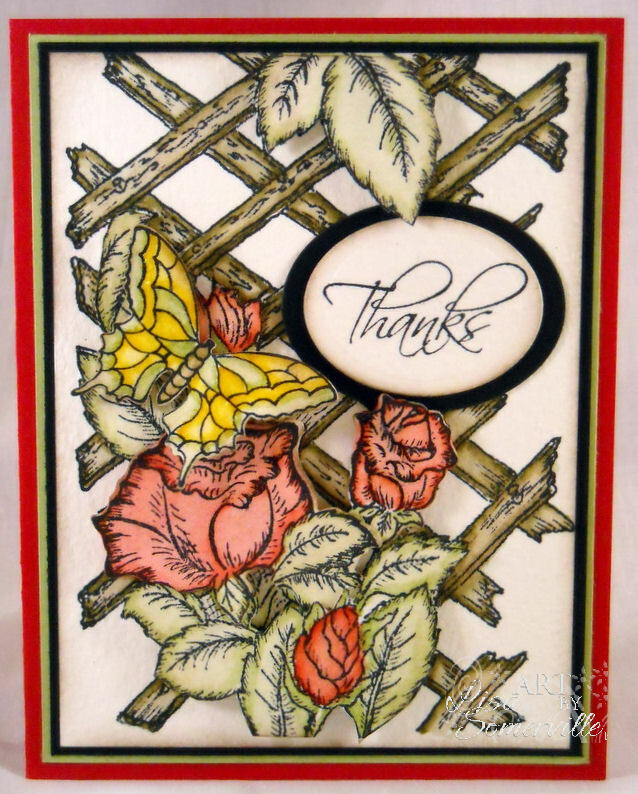 I especially love the colors in your Bella Rose Lattice - gorgeous! Beautifully stunning cards. You just rock those HC stamps.